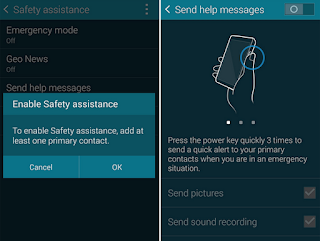 Galaxy S8 Emergency Mode - Samsung Galaxy S8/S8+ support emergency mode feature that conserves your device’s remaining power when you are in an emergency situation. 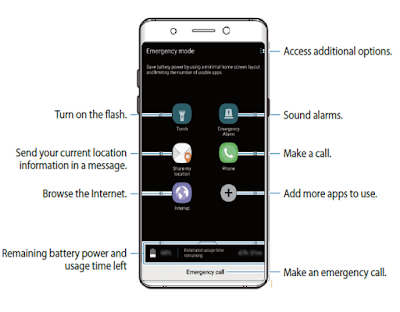 Keep you save on emergency situation with Galaxy S8 Emergency Mode. Here what and how to setup, activated and use this feature. 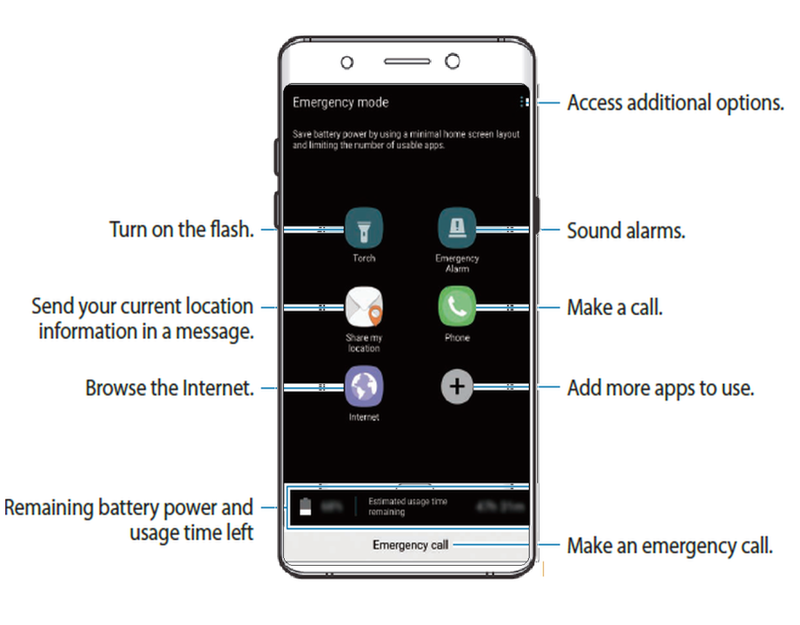 Samsung emergency mode enables you to extend your device's standby time when you are in an emergency situation and you want your device to conserve power to extend its standby time for as long as possible. 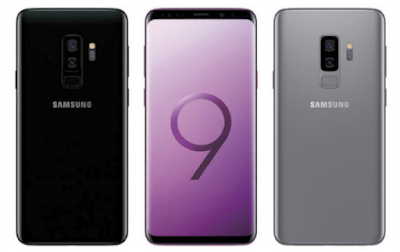 You never know when something bad could happen, in case of being the owner of a new Samsung Galaxy S8, so in life it's better to be prepared for anything. Restricting application usage to only essential applications and those you select. Turning off Mobile data when the screen is off. Turning off connectivity features such as Wi‑Fi and Bluetooth®. Press and hold the Power key to display the Device options window. When accessing for the first time, read the Terms and conditions. If you accept them, tap the Checkbox, and then tap Agree. 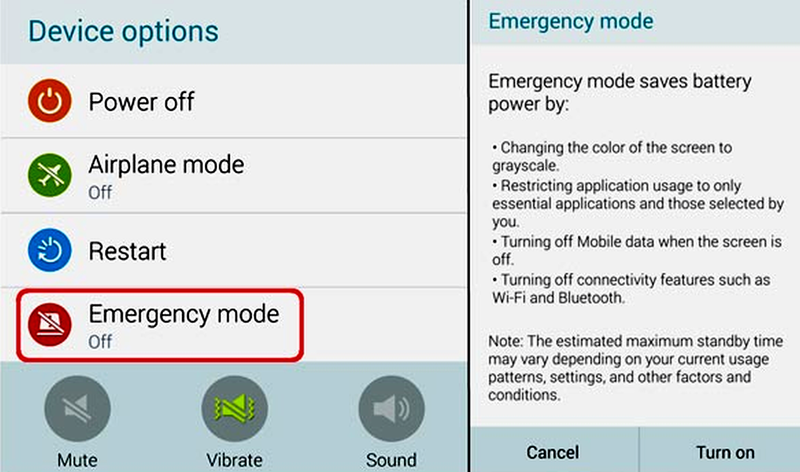 After Emergency mode is turned off, the Location settings may stay the same as they were in Emergency mode. More options > Turn off Emergency mode. Flashlight: Use the device’s flash as a steady source of light. Emergency alarm: Sound an audible siren. Message my location: Send your location information to your emergency contacts. Phone: Launch the call screen. Chrome: Launch the Google Chrome browser. Add: Add other available apps. Email: Launch the Email app. Battery charge: Display estimated battery charge remaining. Estimated usage time remaining: Display estimated standby time that can be reached based on current battery charge and usage. Emergency call: Dial the emergency telephone number (for example, 911). This kind of call can be made even without activated cellular service. 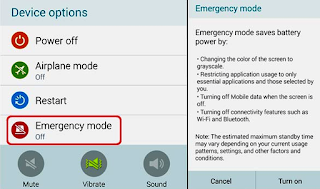 Turn off Emergency mode: Disable Emergency mode and return to standard mode. Remove: Choose apps to remove from the screen. Manage emergency contacts: Manage your medical profile and ICE (In Case of Emergency) group contacts. Settings: Configure the available settings. An emergency is a situation that poses an immediate risk to health, life, property, or environment. Most emergencies require urgent intervention to prevent a worsening of the situation, although in some situations, mitigation may not be possible and agencies may only be able to offer palliative care for the aftermath. Send a message with your location to designated contacts when you are in an emergency situation. From a Home screen, swipe up to access Apps. 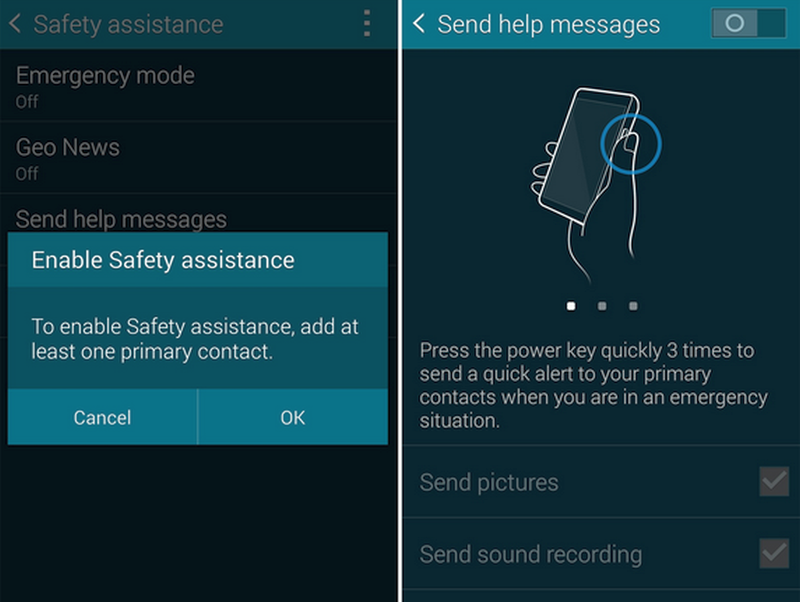 Tap Settings > Privacy and emergency > Send SOS messages, and On/Off to enable this feature. Tap Send messages to > Add and add recipients by creating new contacts or selecting from Contacts. To include a picture from your front and rear camera in your SOS messages, tap Attach pictures. To include a 5 second audio recording in your SOS message, tap Attach audio recording. Press the Power key quickly three times. When you receive a new message, New message appears on the Status bar. Open the Notification panel and tap the message. From Galaxy S8 Home screen, tap Messages, and then tap the new message to view it. To play a multimedia message attachment (audio or video), tap Play. To scroll through the list of messages, swipe up or down the page. Tap Messages > More options > Edit. Tap each message you want to delete or tap the All checkbox at the top of the screen to select all messages. Tap Delete and confirm when prompted. You can search through your messages by using the Galaxy S8 Message Search feature. Enter a word or phrase to search for, and then tap Search on the keyboard. Configure the settings for text messages, multimedia messages, push messages, and more. Tap Messages > More options > Settings. This device is designed to receive wireless emergency alerts from the Commercial Mobile Alerting System (CMAS), which may also be known as the Personal Localized Alerting Network (PLAN). For more information, contact your wireless provider. Emergency alerts allows customers to receive geographically-targeted messages. Alert messages notify customers of imminent threats to their safety within their area. There is no charge for receiving an Emergency alert message. Users may choose not to receive Imminent alerts (extreme and severe) and AMBER alerts. Note: Alerts issued by the President cannot be disabled. Tap Settings > Privacy and emergency > Emergency alerts. Tap Settings > Alert types. All alerts are enabled (on) by default. Tap an alert option to disable it. How to Pair Apple Watch With Galaxy S8?